The schnoodle made its first appearance in the late 1980s. This hybrid breed is a mix between a poodle and a schnauzer. Since the original breeds both vary in color, height and weight, a schnoodle will vary depending on the type of schnauzer and type of poodle used during breeding. As with any type of dog, there are pros and cons that should be considered before buying one. Schnoodles are prone to excessive barking. Though they are relatively small in size, repetitive barking does occur with this breed, which may cause problems for their owners and neighbors. Schnoodles can be trained to reduce their barking, but they must be trained early. A schnoodle is a hybrid dog; therefore, it is not recognized as a purebred by any of the Kennel Clubs. The schnoodle can be registered with the American Canine Hybrid Club as a hybrid. No matter what, even if the schnauzer and poodle used to make a schnoodle are purebred, the schnoodle cannot be sold or registered as a purebred. As with any dog breed, there are diseases to which each type of breed is prone. Since schnoodles are a hybrid of two breeds, the diseases of both breeds are a concern for them. 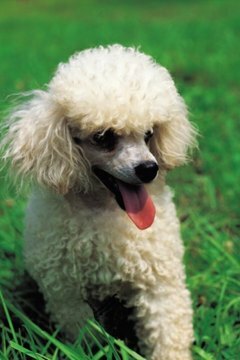 Diseases such as heart disease, progressive retinal atrophy, von Willebrand’s and dog skin allergies are all well-known ailments of poodles and schnauzers, according to DogBreedLists.com.